ORONO, Maine -- Maine Men's Ice Hockey falls to #6 Providence in overtime Friday night at Alfond Arena 1-0. Matt Morris set a career high 50 saves, breaking his previous mark of 40 set on Jan. 24, 2015. With the loss, Maine falls to 7-16-6 overall and 4-9-2 in the conference, Providence improves their record to 18-5-4 overall and 9-3-3 in Hockey East. Nick Ellis started in goal for the Friars. 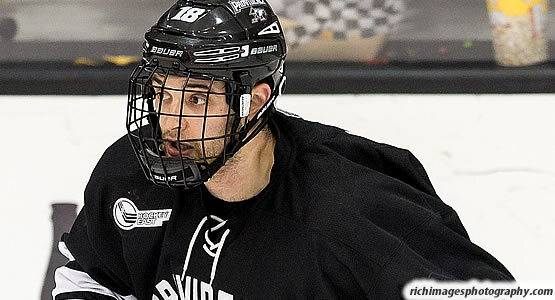 The Black Bears received a power play opportunity :15 seconds into the game after Providence was whistled for a interference call. Maine shot twice on the power play and didn't convert. Five minutes later, Maine was called for a tripping penalty to give the Friars a man advantage. Providence also shot twice on net, but the Black Bears killed off the power play. Providence outshot Maine 11-4 in the first period. Midway through the second, Providence was whistled for slashing to put Maine on the power play. Maine was unable to get a shot on goal. Providence had numerous chances, but Morris shut down each opportunity in the second, Morris saved 20 shots in the period. In the third, Maine was whistled for a boarding penalty, Providence shot three times on goal but the Black Bears killed off the power play again. Providence was 0-2 for the night on power play chances. Providence had a scoring opportunity towards the end of the third, Morris was able to poke the puck away and send the game to overtime. Providence outshot Maine 18-9 in the third. 2:13 into the overtime period, Brian Pinho set up Nick Saracino for his ninth goal of the year and the give the Friars the win. Nick Ellis picked up the win in net for the Friars and had 19 saves. The Black Bears return to action tomorrow night for the second game against Providence. Puck drop is at 7:00 p.m.